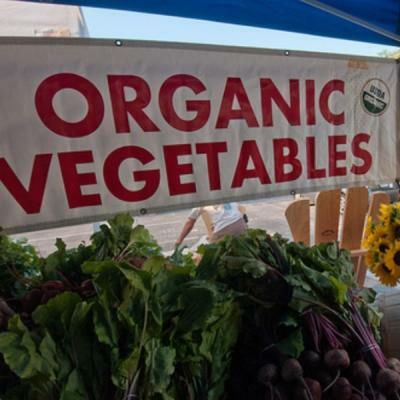 The USDA’s annual certified organic farm count shows once again that the industry is growing. Despite the growth, there are still significant obstacles that farmers face when transitioning to organic, and some that are not interested in getting certified at all. Last month, the U.S. Department of Agriculture (USDA) released the 2016 organic farm count, showing that the number of organic farms continues to rise both domestically and worldwide. Certified organic farms in the United States rose 13% from 2015 to 2016, maintaining significant, double-digit growth with an all-time high total of 24,650 organic farms nationwide. Since the USDA started releasing an annual count in 2002, the number of organic farms has consistently grown every year, with a trend of double-digit growth. The 2016 growth rate of 13% is the highest it has been since 2008, indicating that the increase in certified organic farms isn’t showing signs of slowing. Despite the continued growth occurring in the organic agriculture industry, there still remains significant obstacles to farmers that are interested in transitioning. The cost of transitioning to organic can be high, often requiring new resources, such as fertilizers and equipment, and new practices that sometimes come with a learning curve. Along with these increasing costs, transitioning usually involves an initial decrease in production levels, making it an even greater economic hit to the farmer. Not only that, but farmers that are transitioning must be completely organic for three years before they are able to start labeling their products organic. Thus, they incur the increased costs and decrease in production, without that ability to charge the premium that organic food demands. Earlier this year, the USDA proposed a new transitioning label that would allow farmers to label their products as transitioning to organic, as they work towards obtaining the actual certification. Beyond the often-high cost of transitioning, there are plenty of non-cost-related reasons that some aren’t interested in the organic certification. One glaring issue is that many farmers believe the regulations do not adequately support the ideals that “organic” was originally based on. Instead, the regulations serve as a shortsighted checklist for which if every item is met a farm can be certified organic. This has opened the way for the industrial organics, where organic food production often looks no different from traditional large-scale agriculture — still heavily sprayed monocultures, just with organic-approved substances. Another issue some farmers have with the organic certification is that many of the requirements are unnecessary and difficult to meet for small-scale farmers, such as a set minimum for veterinary costs. Virginia-based Polyface Farm — a leader in the sustainable agriculture movement — expressed these concerns on their Facebook page. In regards to the “vegetarian feed only” requirement for animals like chicken and pigs, they note, “In other words, to allow a chicken to eat a grasshopper, or allow a pig to eat a tasty caterpillar, is unacceptable” — despite the fact that they are omnivores by nature. Although the number of certified organic farms continues to grow, there are still many farmers that share these skeptical sentiments. Moreover, even farmers that are interested in transitioning are often unable to due to numerous obstacles, such as high costs. Ultimately, the best way to know how your food is produced is to get to know a local farmer — firsthand experience on a farm visit will tell you much more about your food than a certification ever could.